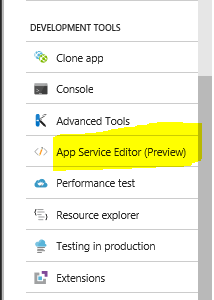 You activate the Microsoft Azure App Service extension in VSC. 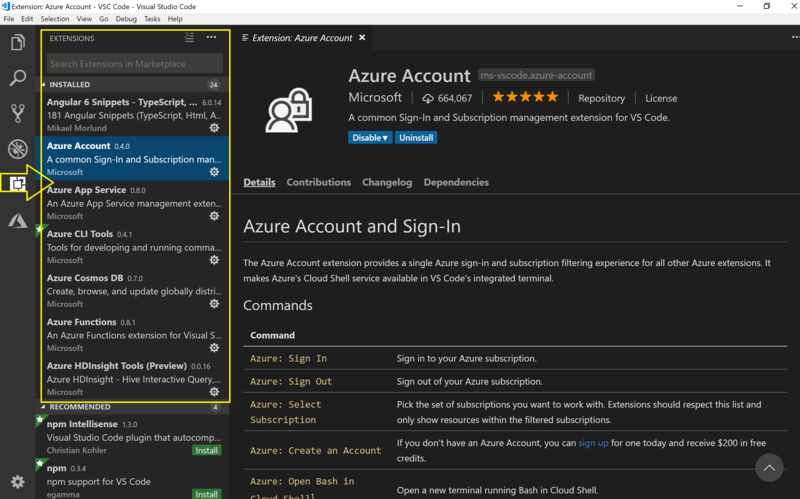 You can install really easy more Azure Extensions here. 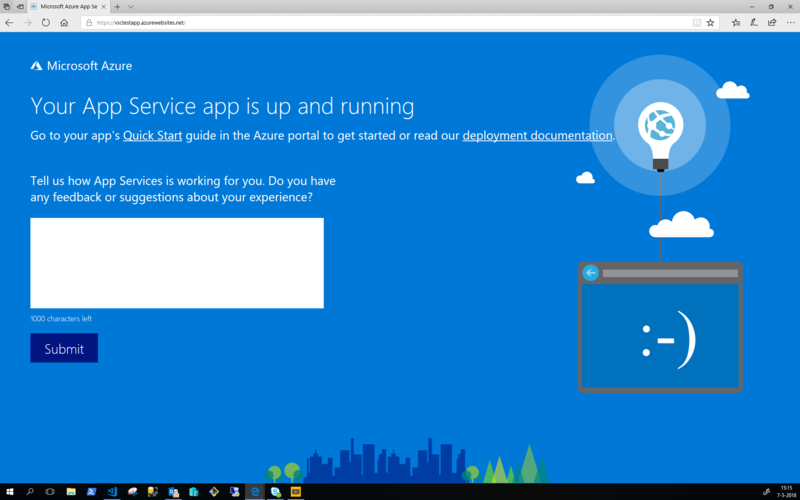 On the Left you will see your Azure Subscription and by pushing the + you will create a new Azure WebApp. 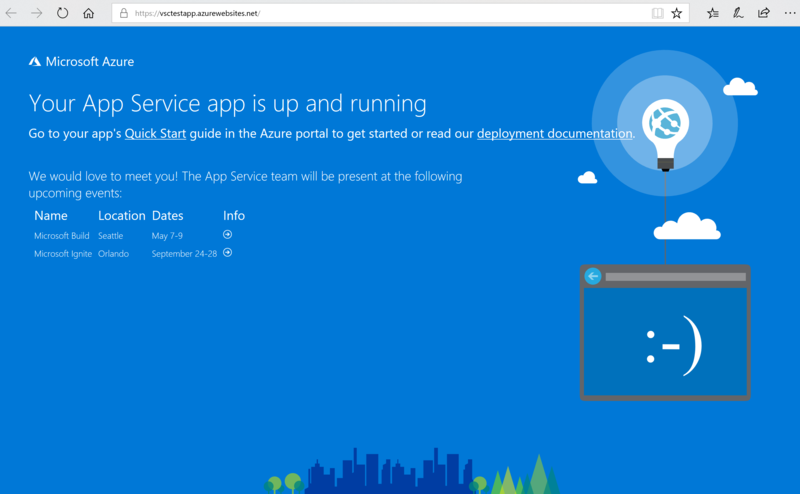 When you open the Azure Portal you will see your App Service plan running. 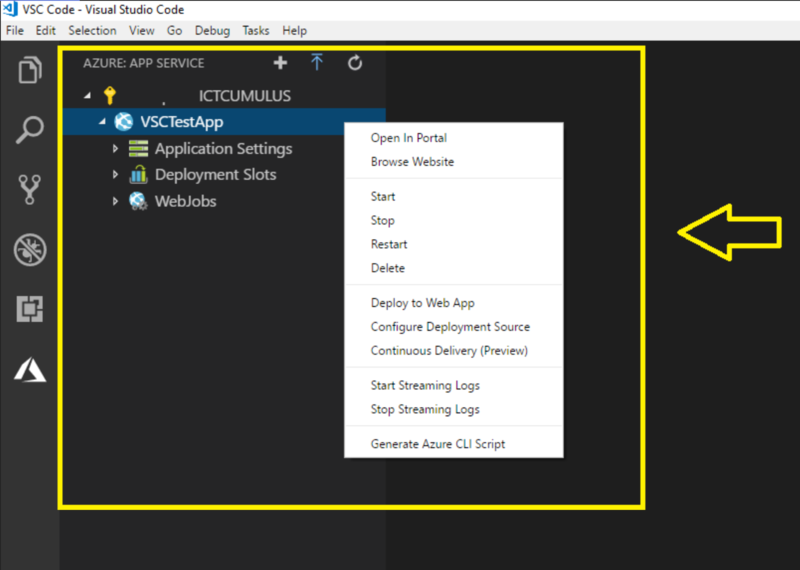 From here you can configure your Azure Web App for Continues Delivery, and use different tools like VSC, Kudu or Azure App Service Editor. 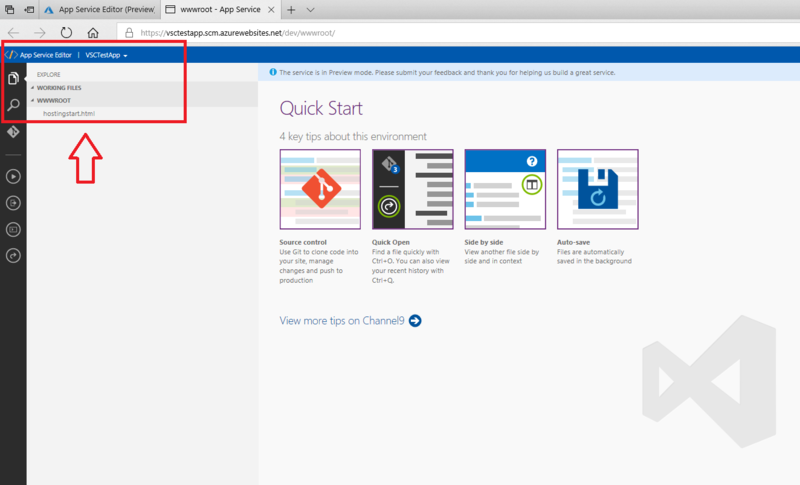 Azure Web Apps enables you to build and host web applications in the programming language of your choice without managing infrastructure. 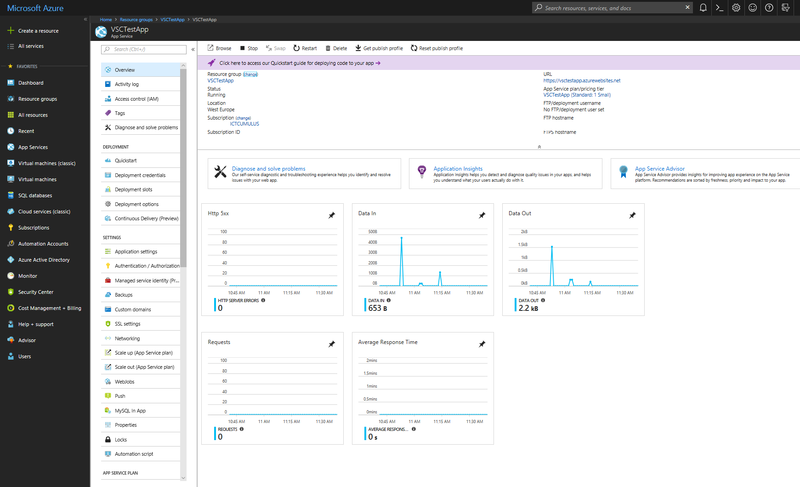 It offers auto-scaling and high availability, supports both Windows and Linux, and enables automated deployments from GitHub, Visual Studio Team Services, or any Git repo. 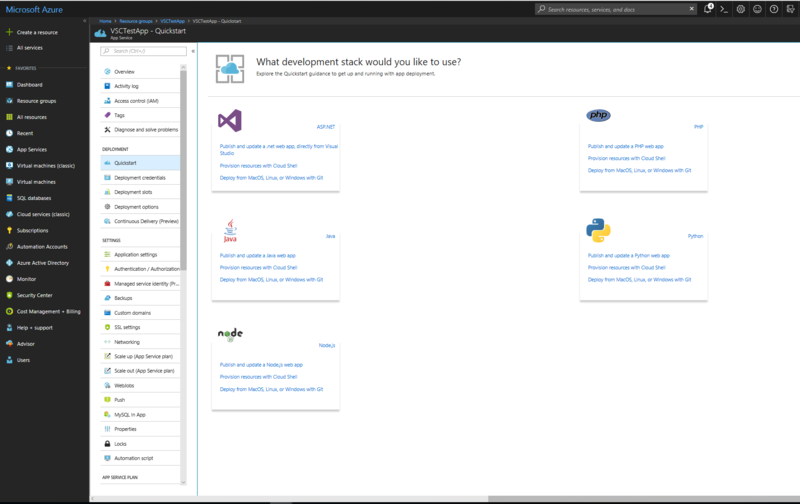 Learn how to use Azure Web Apps with Microsoft quickstarts, tutorials, and samples. 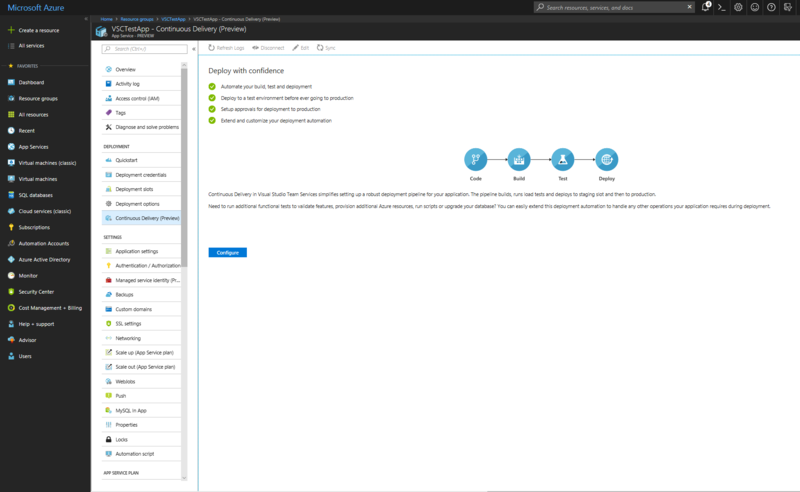 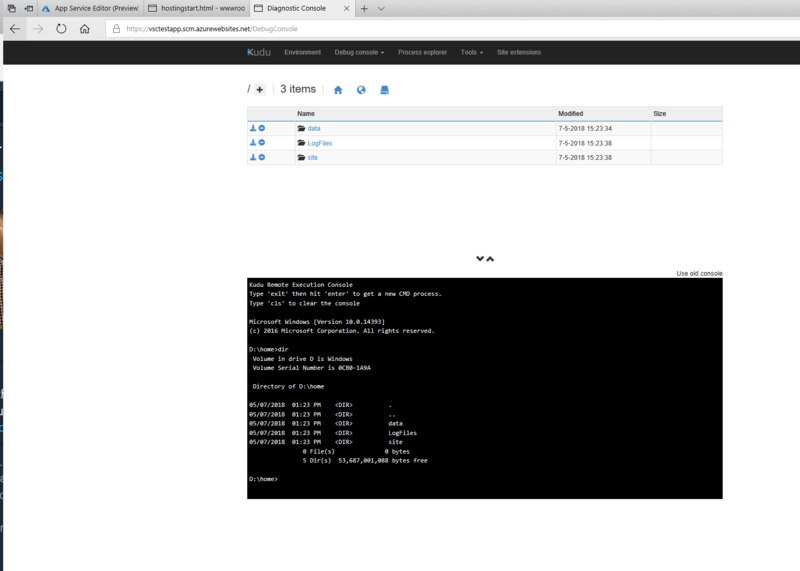 Configure Continues Deployment from the Azure Portal. 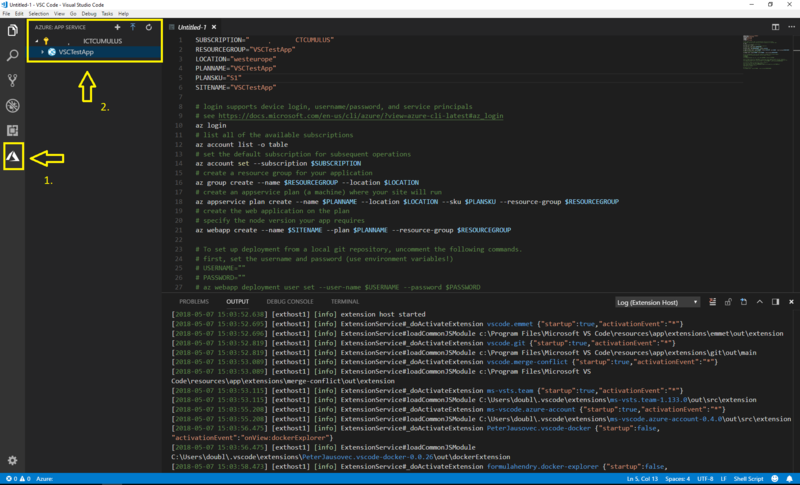 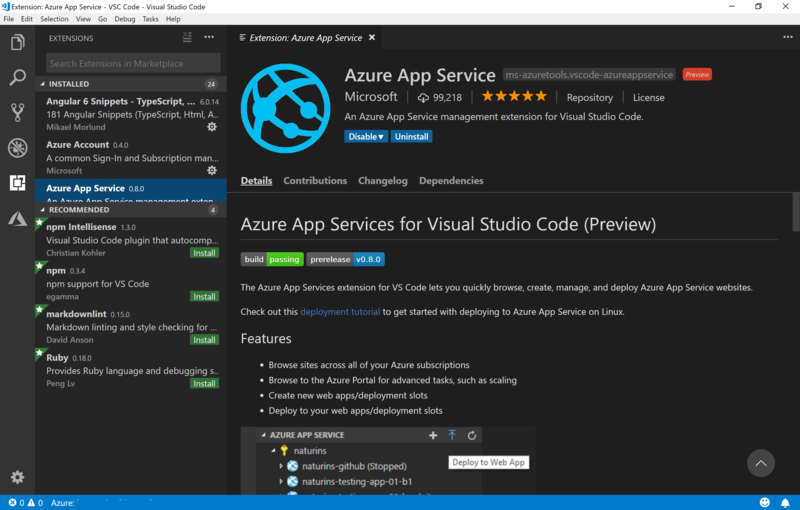 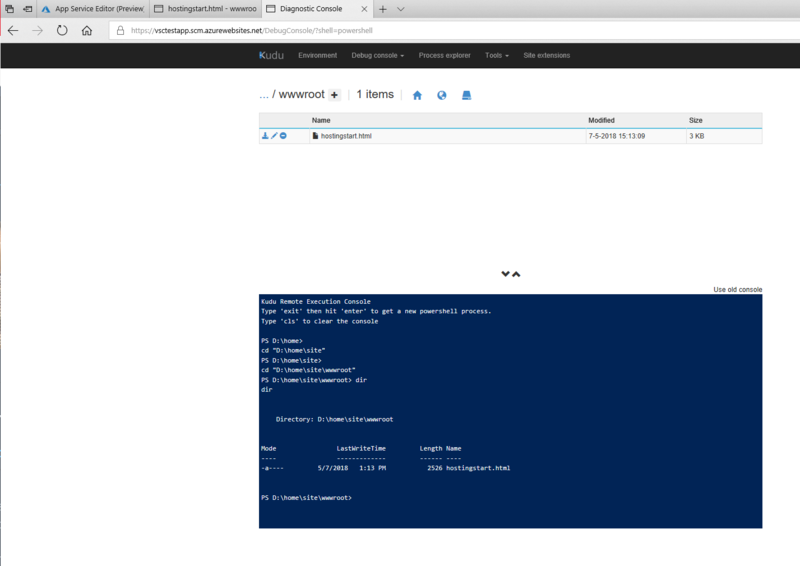 Developer tools from the Azure Portal with App Service Editor. 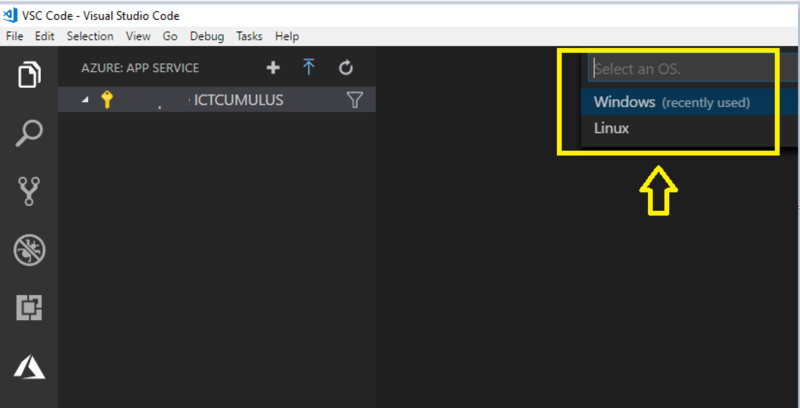 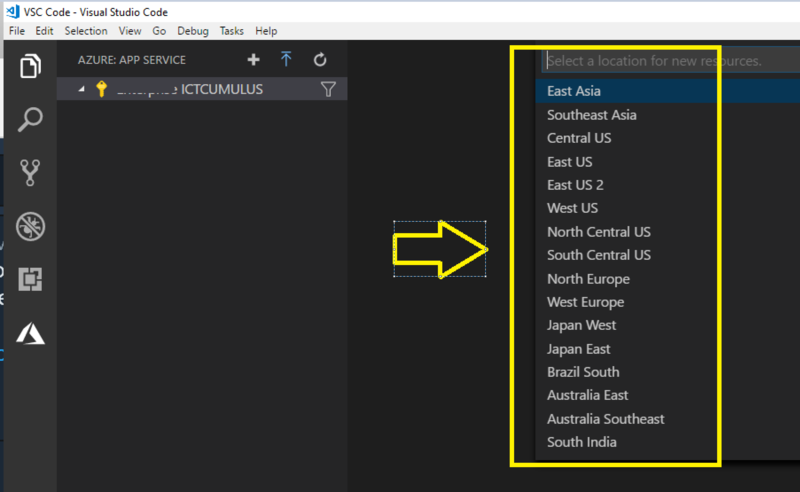 Hope this first step by step Guide is useful for you to start with Microsoft Azure Web App and Visual Studio Code to make your Pipeline. 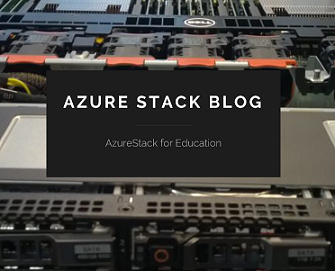 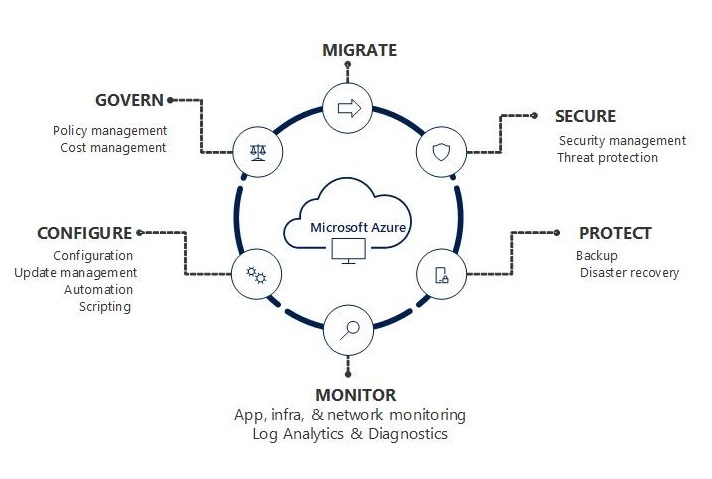 Categories: ARM, Azure, Azure Stack, Containers, Linux, Microsoft Azure, PowerShell, Uncategorized, Windows 10, WindowsAzure | Tags: Azure, AzureStack, Cloud, DevOps, Kudu, Linux, Pipeline, VSC, WebApps | Permalink.